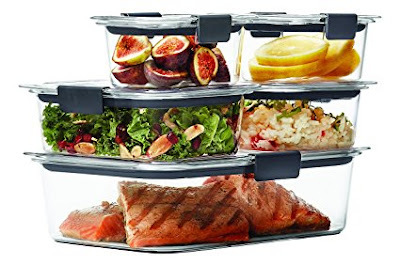 Head on over to where you can score this Rubbermaid Brilliance Food Storage Container 10-Piece Set for only $12.49 (Retail $19.99)! This set has awesome reviews! This 10-piece set includes two 1.3 cups with lids, two 3.2 cups with lids and one 9.6 cup with lid. They are BPA-free and safe for the microwave, dishwasher and freezer and includes a full lifetime warranty.